Tomorrow is National Cake Day! What better way to end the busy holiday weekend with a easy, luxurious, hassle free cake! 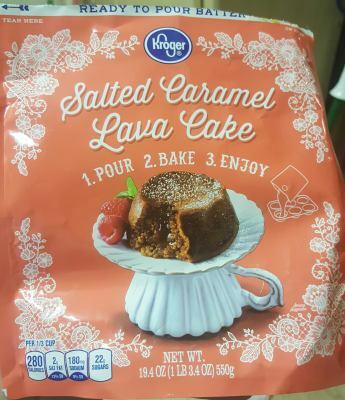 The Thanksgiving meal is done, family is heading home, shoppings been done and now - time to relax with a hot cup of coffee and Kroger's new, Ready to Pour Cake Batters! Aren't the bags gorgeous?! Just the packaging alone attracts me to the product! Just beautiful!. No need to add a thing! I would recommend paying attention to the cooking time. If you cook to long, you won't get that "lava" center. We also cooked it in muffin tins and we popped them out, upside down and sprinkled powdered sugar over it. They were so good! We all had our favorites. Of course the kids was the chocolate, mine was lemon and my husband was the caramel fan. So next time you run to your local Krogers, pick these up - they are what every busy mom needs! 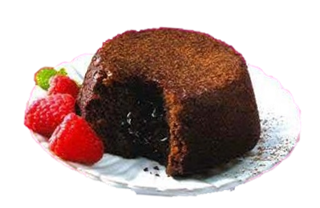 Simple, affordable and decadent!